French Pears, Kirsch, Griottine Cherries and Vanilla Bean Alaska Silk. French pears marinated in a French Griottine Cherry juice and Kirsch. This dessert is prepared on a "Gluten-Free" roasted hazelnut shortbread crust with a center of white chocolate Kirsch Alaska Silk mousse. 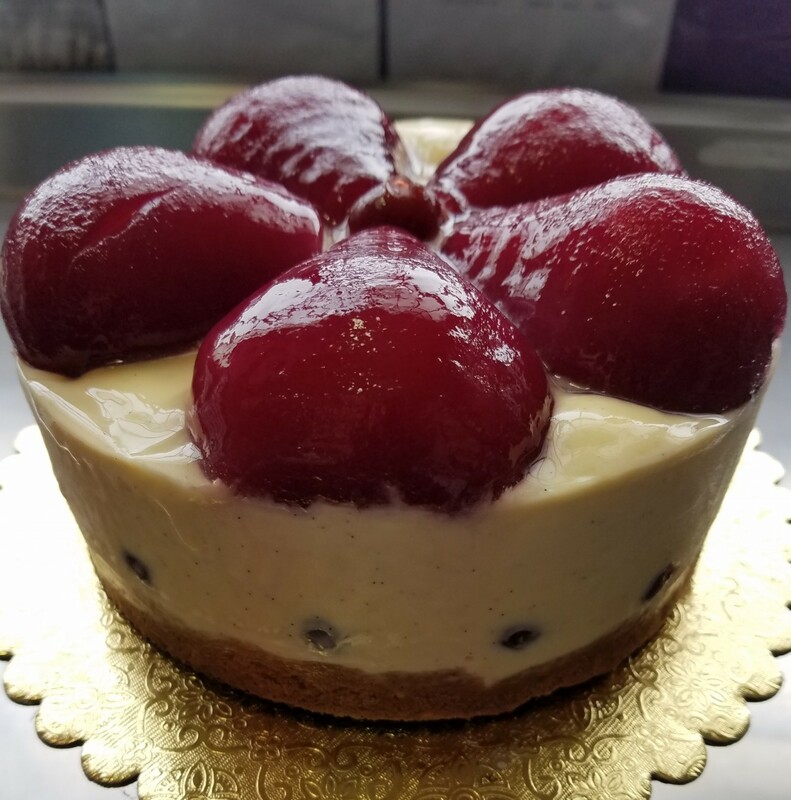 The mousse is encapsulated with our white chocolate vanilla bean cream silk with a ring of French Griottine cherries around the bottom. The marinated pears are placed on top of this beautiful dessert.